Small business and corporate credit cards are a good option for small and medium businesses (SMBs) that haven't built up enough credit or revenues to qualify for larger business loans. Here's an explanation of the difference between the types of business credit cards and the pros and cons. The 3 most common types of cards used by businesses are corporate cards, business cards, and purchasing cards. Corporate or business cards are similar to traditional consumer credit cards because they can be used for a variety of purchases and usually accrue rewards. Purchasing cards, commonly referred to as “P-cards,” are specialized cards used to make business-to-business purchases. Business cards are primarily used by small to midsize businesses with revenues in the thousands of dollars (as opposed to millions). A business card is opened in your name as the business owner, and approval is subject to your personal creditworthiness and any credit changes will impact your personal credit score. In order to allow employees to make purchases, you will need to add employees as authorized signers. This gives the employees the authority to sign for purchases, but it does not hold them personally responsible for purchases. A key perk to using a business card involves the accrual of rewards similar to those you would find with a consumer card, things like cash-back or extra points on travel and gas. Corporate cards are used by larger businesses and corporations, and they’re opened in the name of the business rather than the owner. The business owner’s personal information and creditworthiness are not factored into the approval process. The corporation can issue additional cards to employees, and the business takes responsibility for purchases made on each employee’s card. The issued cards will actually list the employee’s name on the card. Corporate cards are frequently used by traveling employees at hotels, airlines, restaurants, and entertainment venues. Purchasing cards are known as “P-cards” and are used to make business-to-business purchases. These purchases may include supplies, vendors, legal services, or construction costs. 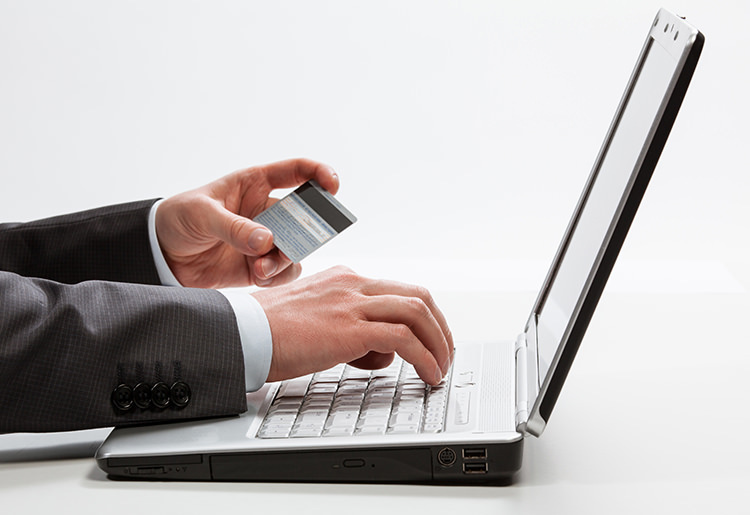 The aim of the purchasing card is to make your life simpler as a business owner. The purchasing card eliminates the many frivolous steps involved in the purchasing process. These steps include invoice creation, mailing, processing, payment deposits, and collection activities. By switching from a traditional invoice system to a purchasing card, you can save around 55% to upwards of 80% over the traditional process cost. From corporate travel to paying for supplies to everyday purchases, finding the right credit card solution is vital to the efficiency of your business. Lowering administrative costs is at the heart of increasing your profit, and a credit card can get you the flexible funding you need without the paperwork and hassle of a loan. If you need a loan or a line of credit for your own business, learn about some of the best options out there.